If you are attracted by all of the cost savings and flexibility that SIP trunking offers, but apprehensive about choosing the wrong platform or partner, you are not alone. We talk to people every day who worry that their lack of expertise in telecommunications will cause them to get stuck with an inferior solution. Fortunately, you don’t need to be a telco guru to make the right call when it comes to SIP trunking. There are some very simple things you can do to ensure you get a platform that delivers both savings and quality service. Don’t be fooled into making a decision based solely on price. The cut-rate providers use lower tier carriers that don’t deliver the quality of voice that is necessary for business communications. Only Tier-1 carrier networks are connected to the backbone of the internet. In fact, they are considered to be part of the internet itself. They have the fastest connection speeds and provide the highest level of reliability. You don’t have to study up on the way the internet infrastructure works, just ask about the carrier tier and only choose a provider that uses Tier-1. One of the big advantages of SIP trunking over PRI lines is that monthly costs can become predictable. But how SIP trunks are priced varies widely from vendor to vendor, so you need to ask a few questions to ensure that you understand exactly what you will pay upfront and on a monthly basis. In short, you should expect to pay monthly and initial fees for each channel, DID, and e911 service. You will also pay for phone number porting and regulatory fees. There will also be per-minute fees for international calling. Only do business with vendors that are transparent about the expected costs. 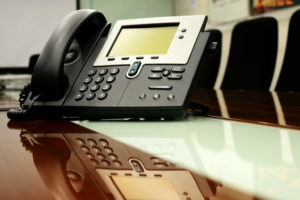 Another advantage of SIP trunking over traditional phone lines is that you don’t have to make a long-term commitment. Some vendors try to lock clients in for the long-haul, but others (including SIP.US) allow clients to add or remove services at any time. Your biggest exposure should never be more than one month’s worth of services. Some SIP trunking providers are also ISPs and they require that customers get bandwidth directly from them. This makes it impossible for you to purchase the bandwidth with the best speed and value for your area. Look for a partner that puts your business interests first and allows you the flexibility to use the ISP of your choice. Once your SIP service is up and running, you very likely won’t need much support from your SIP trunking vendor, but when you do, it is essential that you have access to qualified experts who are willing and able to assist. You also want to be sure that you have the support you need during your configuration and deployment. Carefully vet the support organizations and qualifications of each vendor you consider. Business SIP providers offer varying levels of service to customers. Some are email support only, others charge for support. Especially if you are unfamiliar with business communications, you’ll want to choose a vendor who will help you get set up and answer questions for you in the future. It’s a good idea to call the vendor’s customer service number and get a feel for the type and level of support they offer. A great experience with your SIP trunk platform depends on the interaction of your internet network, PBX system, and the SIP solution. The best way to make sure that everything plays nicely together is to try the SIP solution before you buy. It should be simple and free to kick the tires on each system you consider. Of course, we’d love for you to consider SIP.US as the platform for your business, but even if you look elsewhere, we know you will benefit from keeping each of these considerations in mind. How Can SIP Trunking Help to Improve Your Business?